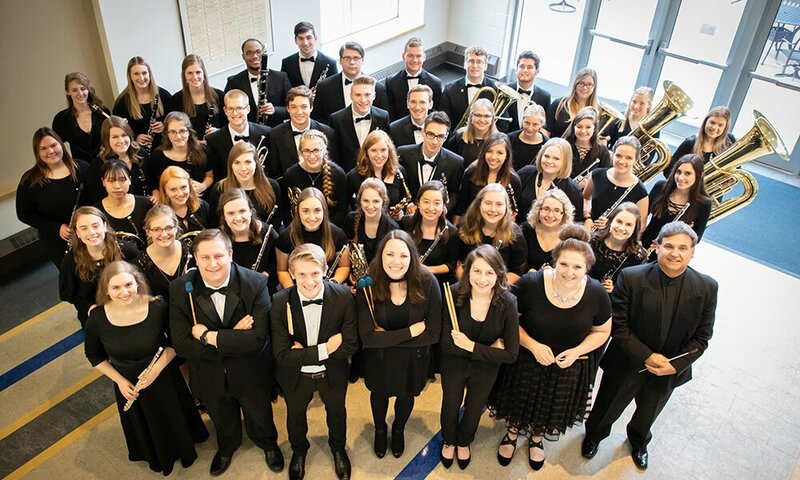 With Christmas at Concordia still in the rear view mirror and our Symphonic Wind Ensemble tour right around the corner, our CUW music department is in the spotlight. Today, the Wind Ensemble embarks on an eight-day, five-concert tour to New York and Philadelphia. Our music department is a beautiful facet of our university, and we are so blessed to have opportunities to share our gifts with other parts of the country. If you’re considering joining an ensemble, here are 10 reasons to be involved with music during your time at Concordia. One of the highlights of involvement in the Symphonic Wind Ensemble and Kammerchor is the annual tours they make, both nationally and internationally. In the past, these groups have traveled to Europe, Oregon, Hawaii, New Mexico, Texas, and many more exotic places around the world. These once-in-a-lifetime opportunities allow students to see the world and perform for new audiences while sharing their musical gifts. Coming into band as a freshman, I was so nervous that everyone was going to be way better than me and not very welcoming. I was pleasantly surprised that our music department is full of talented, kind musicians who are more than willing to help out a clueless freshman. I have met so many interesting and genuine people through my involvement in band, from Mrs. A and Dr. M to my awesome section members. The opportunities to perform for audiences near and far, from chapel to Christmas at Concordia, to the people we’ll play for on tour, have been so exciting. I am so glad I decided to continue my musical career in college. With all the hours you spend together in rehearsals, performances, and on the road, you can’t help but become pretty close with your fellow musicians. That certainly was the case for Liz Ekblad, who participated in multiple CUW music ensembles before she graduated in December. Liz says band camp her freshman year was where she made her first college friends who later became her roommates. It’s easy to get caught in the flow of monotonous studying and homework and tests and due dates, and involvement in music is a great way to break up that cycle with expression and art. In band, orchestra, handbells and choir, you are always working toward a common goal, so there is ample gratification from concerts and other performances throughout the year. No matter what ensemble interests you, rehearsal is a time to blow off some steam, whether that is through an instrument or through your voice. Playing an instrument or singing is a way to be involved and expressive for your whole life. Whether it is playing in a community ensemble, teaching lessons, or even being a music teacher or professor, involvement in a college ensemble in one stepping stone on the way. 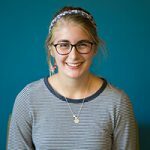 At CUW, that stepping stone involves a family atmosphere and caring staff that will help you in any way they can. Music is one of God’s many gifts, and it is a blessing for both those who make it and those who receive it. I know this one seems obvious. Isn’t “gaining career experience” the who point of college anyways? But CUW’s music program prepares students for life after graduation in a few unique ways, according to Joseph Meador, who graduated in December. Every week, chapel choir adds to the chapel experience by gracing the service with their voices. The Chapel Ringers handbell choir does the same on special occasions. These groups are just two of many that are highlighted at campus events. Being in a musical ensemble is a wonderful way to be involved on campus. On Sunday evenings, our rotating Haven bands lead a contemporary gathering of song and fellowship and our pep band plays at football and basketball games. Here at Concordia, all of our music faculty is renowned and talented, giving students an incredible education, no matter what ensemble they are in. From Dr. Menchaca to Dr. Doebele, our professors are wonderful. We also have a cavalry of adjunct faculty who teach lessons for every instrument and every voice. All of our music staff are dedicated performers themselves, so their instruction is nothing less than top-notch. Whether you are in need of a stress reliever or a creative outlet, participation in a musical group is a wonderful source of both! In pep band especially, members are encouraged to play loud, play fast, and have fun! Music allows students to express themselves through sound, voice and instrumental, created with their peers. Being in a class where creative expression is in the rubric is many students’ ideal situation. Involvement with music is so wonderful because everyone can interpret their music in a different way while still working toward a common goal. With more than a quarter of our undergraduate student population competing in CUW athletics, sporting events are bountiful. Besides the actual game, our pep band is a fun element of our football and basketball competitions. You’ll get to play loudly and quickly in this adrenaline-pumping group that regularly features popular tunes from today, yesterday, and all your favorite television shows. In addition to the playful repertoire and exciting atmosphere, members of the pep band get into the games for free! Stay up-to-date with Concordia’s music department! Follow them on Facebook or check out their department page.